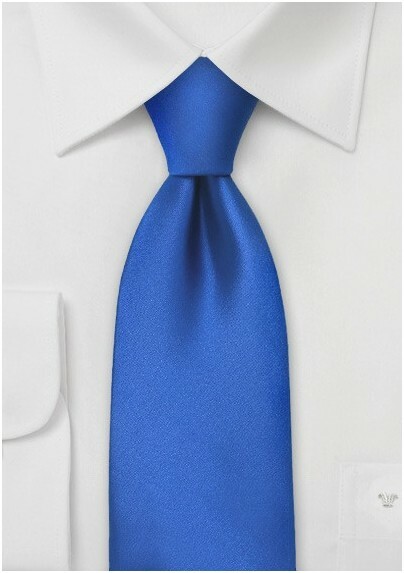 This bright blue necktie by Puccini is made in shorter length of 47 inches - especially for kids between 5 and 10 years of age. 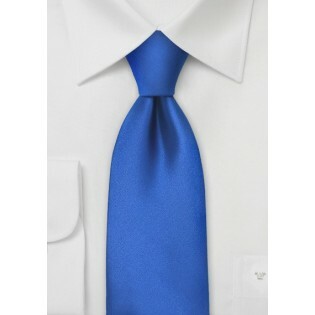 Because this blue tie is so popular we now carry it in all length: kids, regular, and XL. This brightly colored tie looks best when paired with classic suits and shirts. A perfect combination for this tie is that classic gray suit, white shirt, and matching bright blue pocket square.